Oratorio performances and salon concerts feature the music and libretti of works rarely or never heard in modern times accompanied by lectures and refreshments. 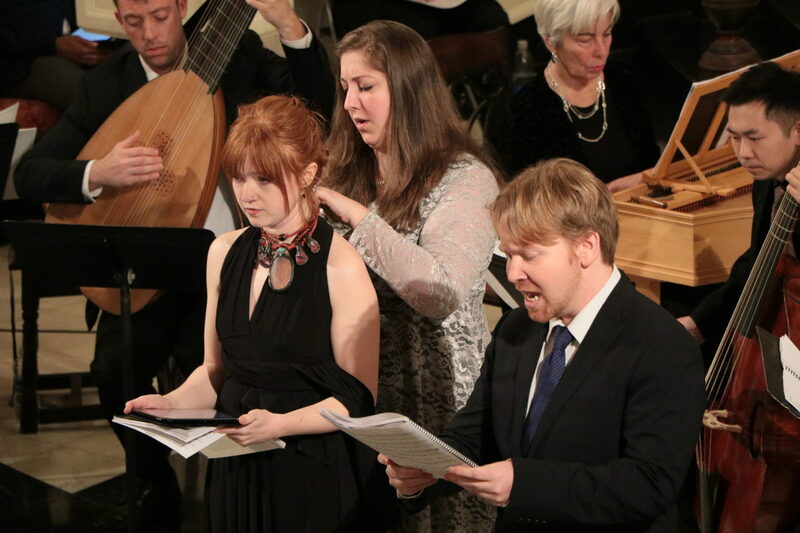 Stories from Scripture and the lives of the saints are imagined through seventeenth and eighteenth century perspectives with historically informed singing and Baroque-era instruments. Like an eighteenth-century salon or the academies of Baroque Rome, oratorio performances provide a space for ideas and friendships to grow. Oratorio performances and salon concerts are ticketed public events in New York City, and other performances are produced in conjunction with partner organizations and presenters in other cities.